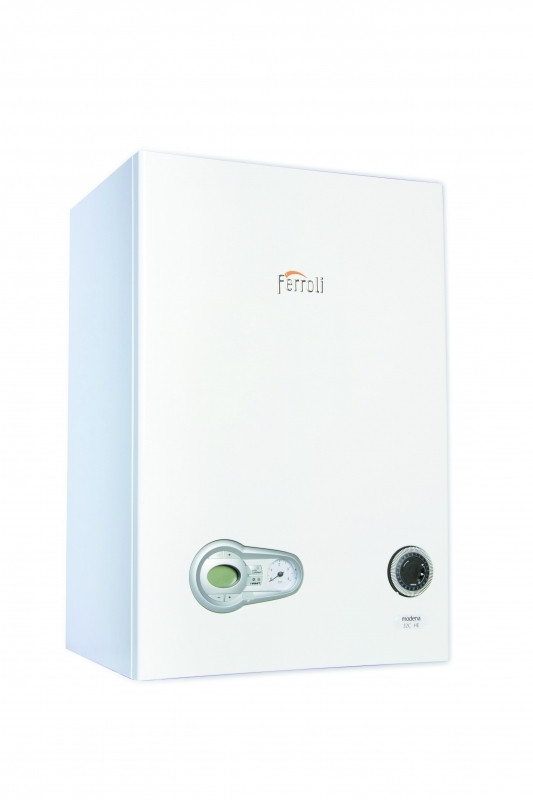 Ferroli is one of Europe’s leading manufacturers of heating solutions for domestic, commercial and industrial requirements. Ferroli pride themselves on using the latest technological advances to achieve optimum energy efficiency whilst ensuring environmental protection. 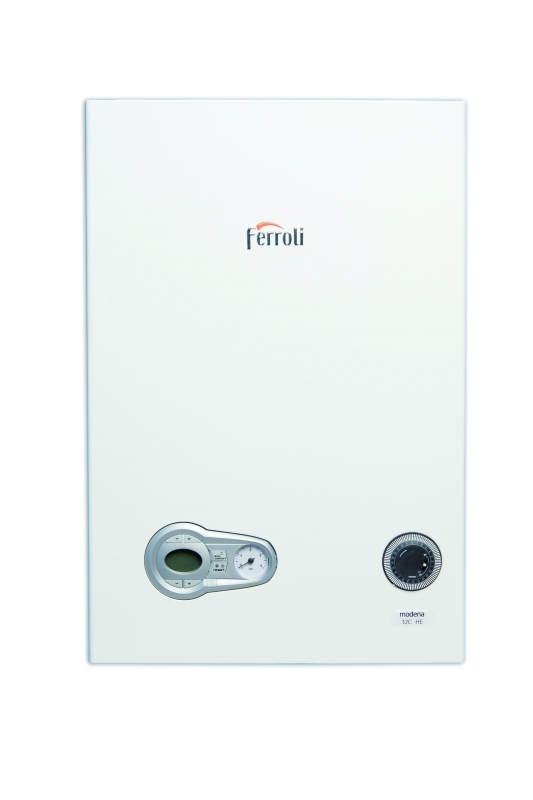 This means that when you choose a new Ferroli high efficiency condensing boiler for your home, you can be assured that you have chosen one of the most sustainable and cost-effective ways to generate heat and hot water. With only four moving parts, the Modena HE combination boiler from Ferroli offers state-of-the-art technology in a practical, compact unit. The Modena HE combination boiler is quick and simple to install. It has a low lift weight (29kg). All parts are accessible from the front, and therefore is the perfect choice where space is tight. 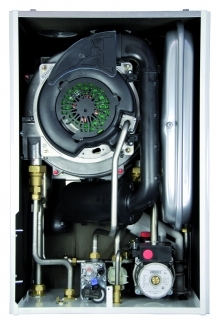 The Modena HE is available in outputs of 25kW, 32kW & 38kW and comes with a range of features. LPG compatable. All Modena HE boilers come with a 5 year manufacturer’s parts & labour warranty, with the option to upgrade to a 7 or 10 year warranty, see accessories for details.